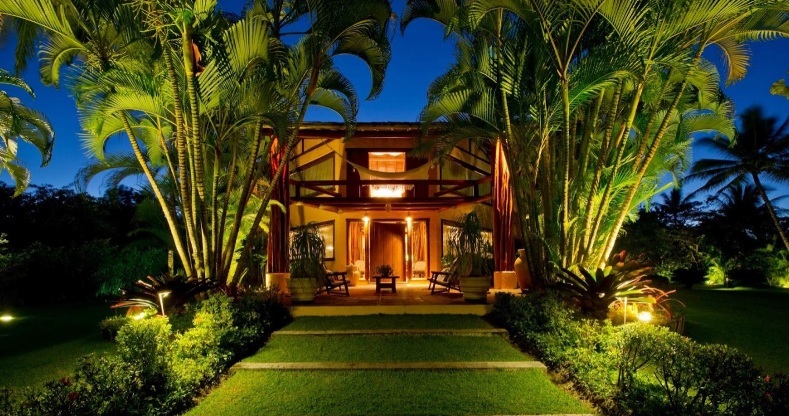 New York Times Features Brazil Beach House Star Property Today! 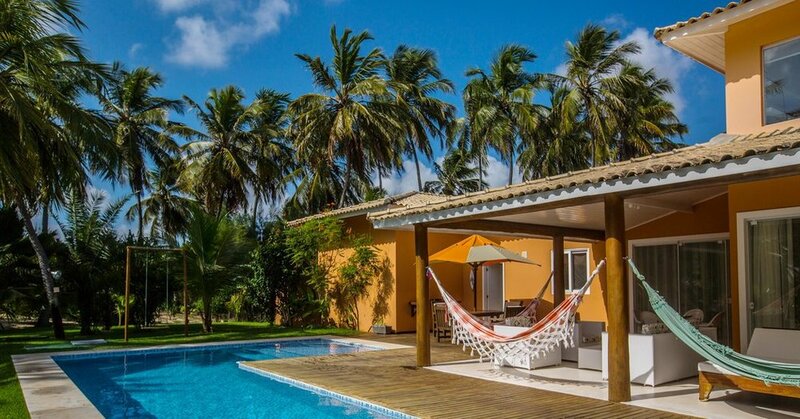 This five-bedroom house is a short walk from a white-sand beach on the northeastern coast of Brazil, about 30 miles from the popular tourist destination of Natal. Built in 2006, it is part of a small gated development of 16 homes called Quintas do Coqueiral. The 4,300-square-foot house sits on about 1.2 acres covered in palm trees and grass. Visitors enter through two large wood doors, framed by pillars. The double-height foyer opens to a living room and covered patio. There is a pool and Jacuzzi in the back yard, with a wooden deck. 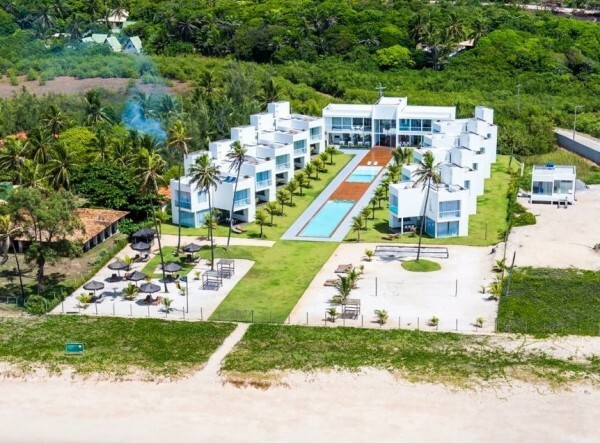 The floors on the ground level are white marble concrete, a form of concrete with sand and marble grains mixed in, said Mike Smith, owner of Brazil Beach House, the company marketing the property. The doors and windows are trimmed in Brazilian hardwood, and the exposed beams and pillars are eucalyptus, Mr. Smith said. From the foyer, stairs lead to a mezzanine level currently being used as an office. There is an open-air deck off the mezzanine. All the bedrooms are on the ground floor. In one wing, there are two large bedrooms, each with a walk-in closet; the master has sliding glass doors that open to the pool deck. Two smaller bedrooms are in the other wing. All the bedrooms have en-suite bathrooms with marble counters. A dining room, television room and another bathroom are also on the ground floor. The kitchen is off the dining room, overlooking the pool area, and has two refrigerators, an electric drinking fountain and a six-burner stove. The maid’s quarters, adjacent to the kitchen, include a bedroom, a bathroom and a small attached garage, large enough for a single car. There is also a detached two-car garage on the property. The furniture is not included in the asking price, but is available for an additional 100,000 Brazilian real (or about $31,000), Mr. Smith said. 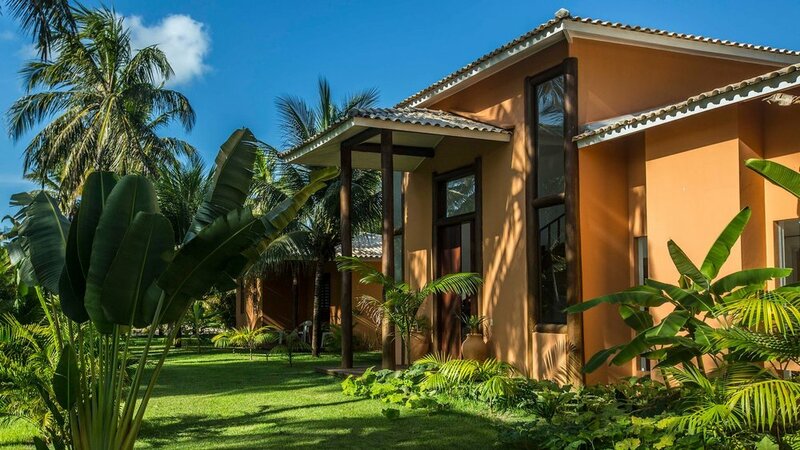 The property is about a half mile from the village of Maracajaú, a popular spot for diving. 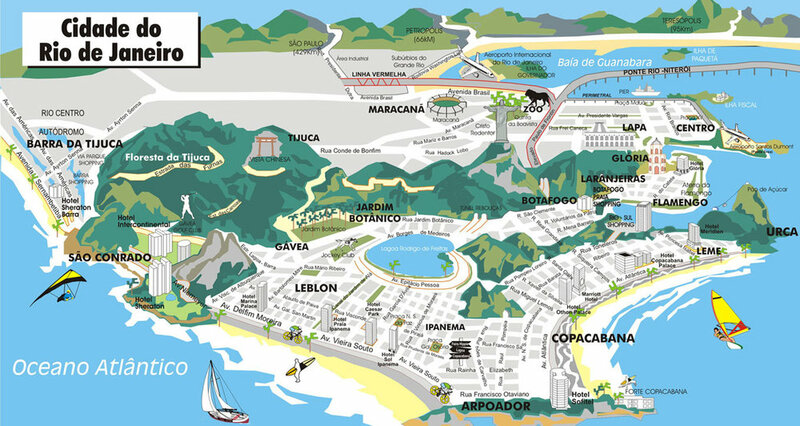 Natal, about a 45-minute drive from the house, is the capital of the state of Rio Grande do Norte, with a population of about 850,000. The closest airport is the Governador Aluízio Alves International Airport in São Gonçalo do Amarante, about 25 miles away, but most international flights are routed through Rio de Janeiro or São Paulo. Brazil is coming out of a lengthy recession following years of political turmoil. Home prices fell 3.23 percent in 2017 and 5.38 percent in 2016, when inflation is factored in, according to the FipeZap Index, which tracks sales in 20 Brazilian cities. In recent years, “supply exceeded demand considerably,” said Andreas Hahn, a senior partner with Hahn Consulting, in São Paulo. But lower prices and an improving economy are bringing buyers back to the market, he said. And Brazil’s economy is expected to grow 1.9 percent in 2018, according to the International Monetary Fund. “For the first time in several years, the Brazilian real estate economy is returning to an equilibrium state,” with supply and demand in better balance, Mr. Hahn said. Sales in the middle-price range were hardest hit by the downturn, said Marcello Romero, chief executive of Bossa Nova Sotheby’s International Realty, in São Paulo. The lower end of the market was boosted by government subsidies, he added, while the high end was less affected. 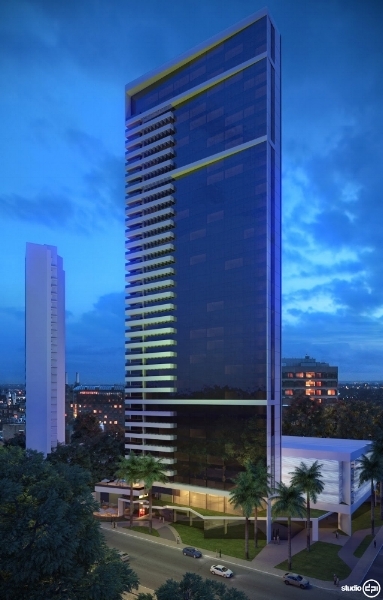 In São Paulo, where he is based, the volume of sales was up 46.1 percent in 2017 compared with a year earlier, according to data from Secovi, a property industry association. Although there is no official data available on sales in the Natal area, agents said prices have fallen between 10 and 20 percent in the last three years. “The northeast is more of a holiday marketplace,” said Steve Gallagher, owner of Brazil Overseas Property, and was therefore more vulnerable when the economy slowed. “Political uncertainty,” he said, also plays a major role in the market, as potential buyers await the results of the presidential elections later this year. In the last five years, the value of the Brazilian real has dropped by almost 40 percent against the American dollar, he said, making Brazilian real estate more affordable for buyers from the United States. In the Natal area, he added, homes in gated communities priced between $150,000 and $600,000 are the most popular with foreign buyers. The northeastern coast primarily attracts “new buyers, mover-uppers and second-home buyers,” Mr. Gallagher said. And foreigners make up about 25 to 30 percent of the buyers on the coast, said Mr. Smith, who primarily works with foreign prospects. Of his clientele, about 20 percent are from Portugal, he said, with buyers from Italy, Spain, Scandinavia, the United Kingdom, the United States and Canada each making up about 10 percent of his business. International buyers represent about 10 percent of the Brazilian real estate market over all, Mr. Hahn said. There are no restrictions on foreigners buying property in Brazil, except in rural or border areas, said Juliano Ribeiro Lomonte, a real estate lawyer based in Natal. But foreigners do need to obtain a tax registration number, known as a CPF, to buy property. Buyers typically make a 20 percent down payment, and the final deed is signed in front of a notary. “The whole process normally takes between 30 to 60 days,” Mr. Smith said. The transaction is straightforward, but buyers should hire a lawyer to oversee the process, agents said. “A lot of times sellers don’t know about the taxes or restrictions on the land,” Mr. Lomonte said. There is local transfer tax of 3 percent on this property, and notary fees are usually about 2.5 to 3 percent of the sale price, Mr. Smith said. A lawyer might charge $2,000 to $5,000, he said, depending on the property and the lawyer. Agents’ fees are usually about 6 percent of the sale price, Mr. Gallagher said, but they are paid by the seller. The annual property taxes on this home are 2,000 Brazilian real (or about $615), and there is a homeowners’ association fee of 1,300 real (or $400) a month, Mr. Smith said. 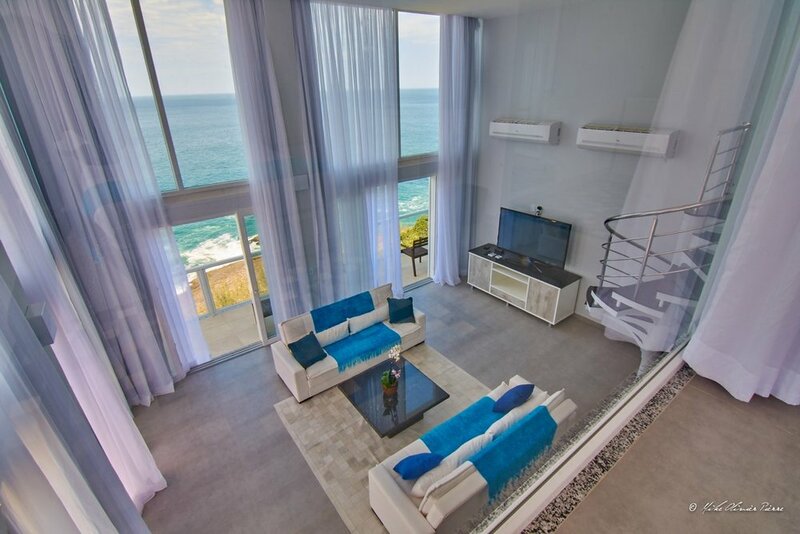 Having operated as a 6 star hotel, this unique property featured as Condé Nast´s most exclusive resort in Latin America. This is a unique opportunity for either a professional hotel group or a private buyer looking for an exclusive beachfront estate. Over 300 metres of beachfront and large constructed areas, built at the absolute highest standards, specifically for beachfront living. The construction itself today would cost over USD 5000 per square meter, as it boasts enormous beams of Brazilian hardwood (today impossible to find), a special intelligent tunnel in the foundation of the house for easy access to hydraulic and electricity network and special ventilation. Imported materials. Built by one of the world´s most renowned architects/engineers. 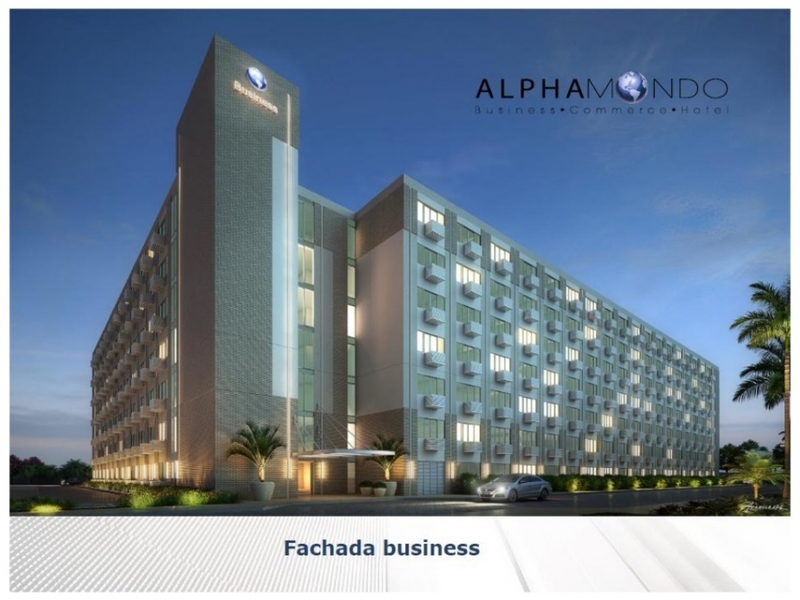 48 hectares (480,000 m2) Land Parcel with 5.6 Hectares designated for Hotel. 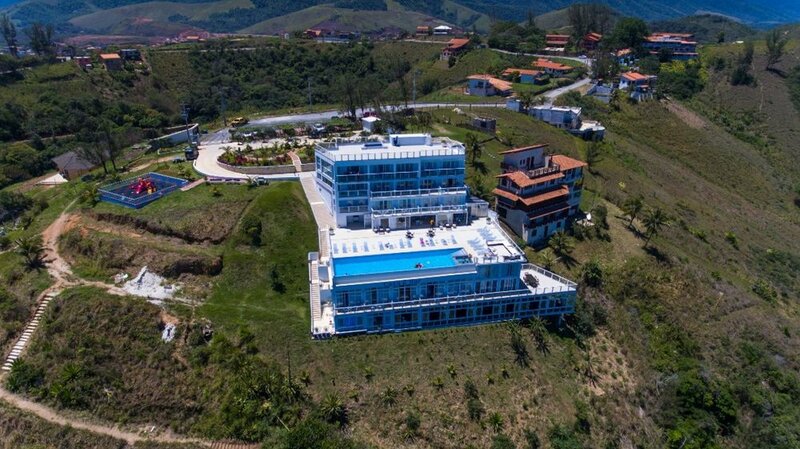 Existing 11 Room Hotel ( formerly Toca Do Marlin ) with 2,700m2 construction encompassing 2 buildings, interconnected, including 11 suites, varanda, reception, offices, stores, restaurant, bar, powder rooms, kitchen, freezers, storage area, working patio, swimming pool, heating system area. 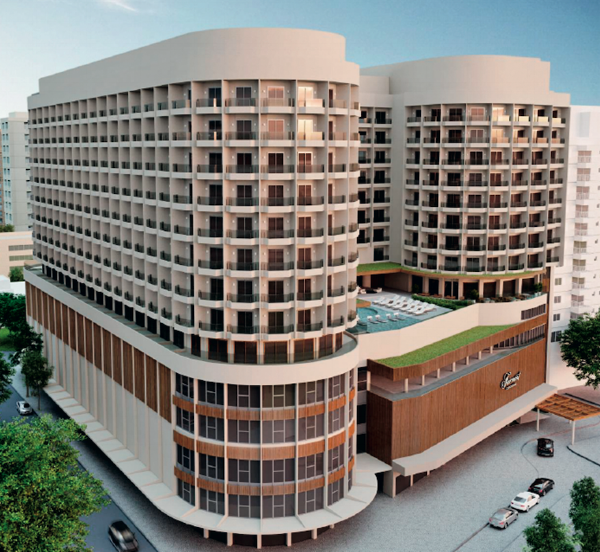 Expansion project in 2 phases, adding each one 14 suites ( pre-approved by government and environmental agencies. GUAIU DEVELOPMENT intend to have an airport landing area finished (nearby ) by the end of 2018. A Marina will be finished later next year. MORE INFORMATION AVAILABLE FOR SERIOUS CANDIDATES ONLY. The aquarium will house 500 species of marine life with 4 floors overlooking the ocean.It is designed as a state of the art aquarium with submarine simulators,submerged tunnels and 4D movie theaters. -3 million tourists annually attracted to all-year round sunshine and beautiful beaches. 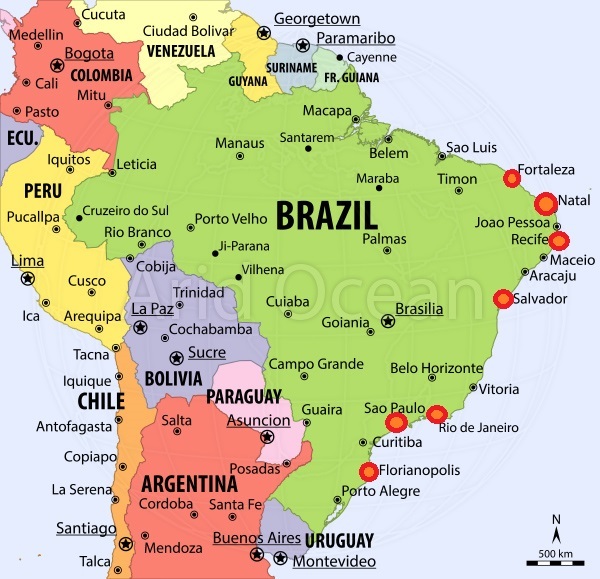 -Attracting serious international investment in solar energy(Brazil´s biggest producer)and its offshore hub port and industrial complex in Pecem. 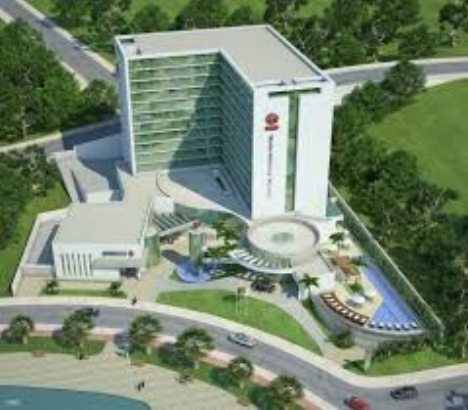 -State Government Incentives for investors including access to land for hotel development close-by. We have a direct line to the principal decision makers for this project and can facilitate the official introductions and open doors to divulge classified information for qualified interested parties. 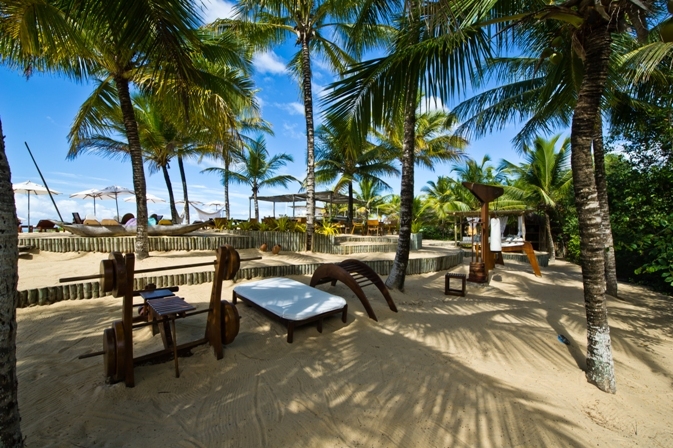 I sold my beachfront bar and restaurant in Genipabu, Natal last month with the help of Mike from Brazil Beach House. He was always just one call,mail or message away when I needed him and took a lot of stress off my shoulders by representing me on the ground and making me feel comfortable with the whole process. He was reliable,professional, attentive and above all a really nice guy to do business with. If you are thinking of buying or selling a property in Brazil as a foreigner,Mike is the best guy in the field.